James Bond June Bahtra. 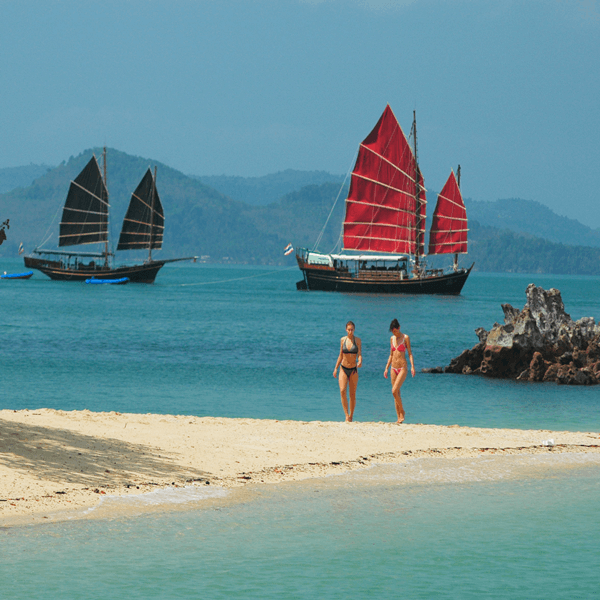 This trip is awesome, you travel on a traditional Chinese Junk style boat around Phang Nga Bay, it really is an amazing way to see the Bay and cruise around the islands. With only 30 people on board you have plenty of room to relax and enjoy your trip. Arrive at James Bond island and have a look around, then to Panyee Island (floating Muslim Village) pick you up on a long tail boat and take you over to have a look around. The food for lunch on board the boat is very tasty and dining on board is a wonderful way to spend lunch time. After lunch you commence the journey back to Phuket and stop off on the way at Lawa Island for a swim and cool down. Speed boat trips are really great, but if you are looking for a more leisurely day out on the water then take a look at this James Bond June Bahtra Tour. 07.30 Guest Pick up from your hotel by minivan and transfer to the embarkation pier at Yacht Haven Marina. 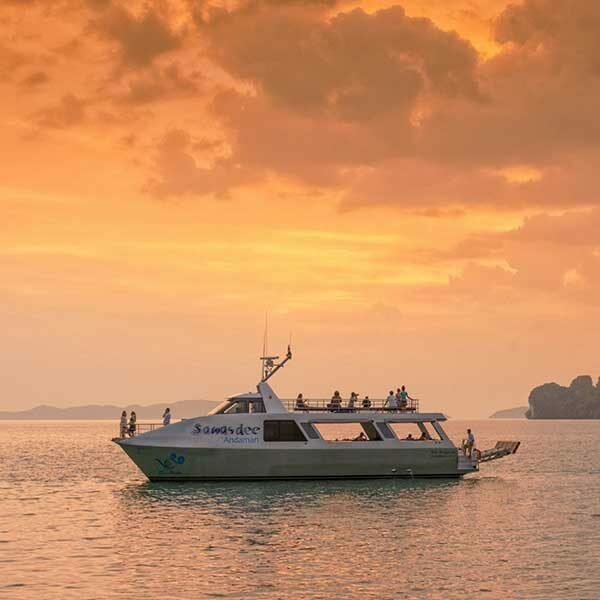 – Embark on board “June Bahtra” departure and enjoy your cruise through the enchanting and breathtaking Phang Nga Bay. – A delicious Thai buffet lunch is served back on board, then, the afternoon is free to relax, sunbathe and swim. – Cruise back to Phuket Island and transfer to the hotel. 18.00 Arrive back at your hotel. Transfer from/to hotel in Phuket and pier at Yacht Haven Marina. Thai lunch on board with tea and coffee. Free flow of soft drinks and drinking water. Krabi 4 islands Hopping Tour. 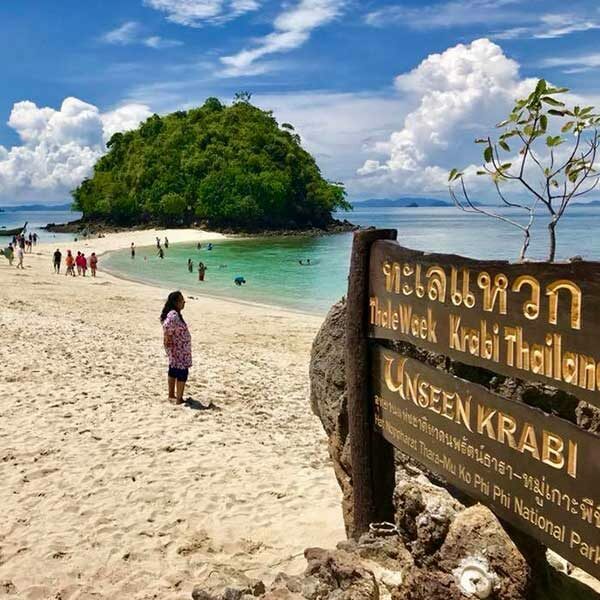 If you are staying in Krabi this is a great choice for an island hopping tour is you are looking for one. 4 islands in a day and snorkeling and swimming, a but of lunch and a bit of adventure.